Boating is a part of life in Minnesota. 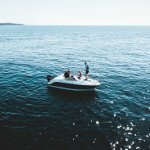 When you work with the Deleski Insurance Agency, you can rest assured knowing you’ve got the boat insurance coverage you need for all your aquatic adventures. We’ll work with you to determine the coverage you need, then get to work finding the best rates. Contact us or request a quote to get started.